Addiction and Codependency: Are you an Enabler? 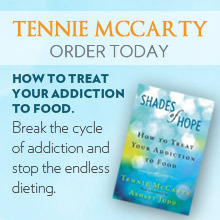 Do you help the addict in your life avoid consequences for their behavior? Do you make excuses to others for the addict’s behavior (e.g. not hungry because they just ate a large meal, late for work because of a flat tire versus being hung over, etc.)? Do you avoid talking to the addict about his/her problem because you fear his/her response? Do you find yourself avoiding fights by allowing the addict to continue with their destructive behavior? Do you find yourself giving the addict chance after chance after chance to alter his/her behavior? Do you find yourself blaming yourself, publicly and/or privately, for the addict’s behavior? Do you threaten to leave but don’t? Do you help fund the addiction? Enabling is an adaptive behavior adopted by people who live with addicts. Whenever you allow an addict to continue their addictive behavior, whether actively or passively, you are enabling. Many enablers believe their acts are acts of love – they believe they are protecting the addict. While an addict has an enabler in place, they can continue and possibly expand their own addictive behavior. Unfortunately, enablers are only hurting themselves, the addict & others. The only way to stop this cycle of pain for both parties is to properly address the addiction and the core issues of the addiction. An addict is only going to change their behavior when they recognize their addiction and want to recover. It is much harder to continue addictive behavior without an enabler. Consequently, an addict is much more likely to seek help and find the path to recovery when loved ones refuse to engage in enabling. When an enabler stops “helping” the addict, the relationship can become difficult. This is when the enabler must stand their ground – firmly. The addict will probably plead, become angry, act out or threaten to leave. Sometimes, this conflict is exactly what an addict needs to understand the scope of their addiction and seek treatment. The best thing anyone in an addict’s life can do is to get them help to recover from their addiction. That is true love. Note: Enablers often benefit from therapeutic treatment of their own whether or not the addict chooses to seek treatment. Support groups are available in most locales to help loved ones of addicts resist enabling. Look for meetings of Al-Anon in your area.